King Piers LLC is giving the homeowners in the Midwest the very best Foundation Repair, that money can buy. Every step we take is Structural Engineering at its absolute best. The King Piers Methodology of raising a heavy structure that has settled, will raise the structure back to its correct level elevation, every time GUARANTEED! No other Pier System being sold can lift or hold up the structure better or longer than that of the King Pier! I look at on average 4 jobs a day. I talk to homeowners that has hired others to do their foundation repair and now the work has failed. Homeowners call King Piers LLC to evaluate and bid on redoing the foundation, whatever it needs. King Piers customer reviews are the best in the industry. 10 very important details that make King Piers LLC vastly different than all other #foundationRepair companies. 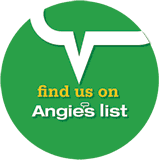 Is vastly different than all other foundation repair companies. 2. All foundation repair is of proven Engineered sound procedures. 3. We do not break off any part of the footing as most all other pier systems do. 4. We will be the only bid that guarantees to raise the footing back to its original level elevation, guaranteed. 5. We are the only foundation repair contractor that videos the start, middle and finished product. All project videos will be posted to Facebook, YouTube, Twitter, google plus, Instagram and other social media outlets. 6. The king piers methodology does not include going to bedrock. King piers creates bedrock. 7. King Piers LLC will at no additional charge repair all existing and new drywall cracks after our king piers are installed. 8. 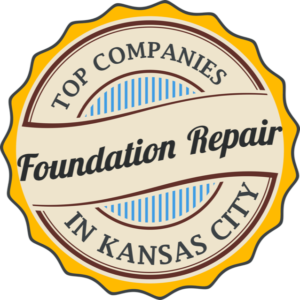 King Piers has more real 5 Star reviews than any other foundation repair company in Kansas City. 9. The King Pier Methodolgy is stamped and backed by Norton & Schmidt Structural Engineers. 10. The King Pier is the Biggest & Strongest Foundation Pier being installed in the USA! Denise Hicks Sandberg recommends King Piers LLC. Jim and Matt were very clear in what they were going to do to fix our foundation issue on our old home (built in 1907). This made us more comfortable in putting our home in their hands. Their team of workers were very efficient and friendly and such hard workers! They arrived early and were here til they got their work done for the day. They cleaned up everything very well and never assumed anything, but asked us where we wanted the extra piles of dirt to go, which was helpful. We have not had any water issues since they were here and did their magic! We had 5 king piers put in and the west wall of our basement fixed – and it’s wonderful! We do plan to have them come back out and finish our entire basement walls at some point! 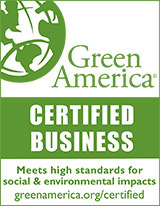 They are highly recommended by us! Thanks Jim and Matt, and the rest of the crew for doing such a great job! Many thanks to Jim for taking time ON EASTER to come and give us an estimate after Dry Basement tried to scam us. Your demeanor and craftsmanship are top notch and we’ll always be working with you/referring you to anyone with foundation issues. Marilyn Moots recommends King Piers LLC. They did a fantastic job especially the foreman Enrique. Our back porch (which is part of the house under roof) had settled and started to lean. They installed two piers at the back porch area and raised it 3 inches and distributed dirt around the foundation. The door and windows are now square in their frames. Just want to give a huge about out to the King Pier team. They did an amazing job on my new retaining wall in West Plaza. Their professionalism in unmatched and that goes a long way in my book! Thanks fellas. You have have my recommendation any time. Tomorrow is their last day, they were hear on time every morning, hard working, did what they said they were going to do and did a fantastic job, couldn’t be more happy. Thanks guys.